One of the most striking features of the promo material of Battle Angel: Alita were the large eyes of the titular character. Much talked about prior to release, it had a Japanese touch and added an ethereal beauty to the cyborg. But all that won't prepare you for the true power that those eyes hold in Battle Angel: Alita. They convey the human emotions of Alita and are your window to experience what she feels - love, hurt, anger and fury. It is also through them that we see parts of what make her more than just Alita, what make her a Battle Angel. But then again, those are not the only eyes that we see the film through. 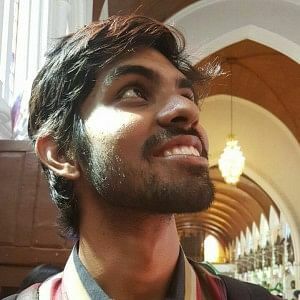 You also see them through the visionary filmmaker, James Cameron, who wanted to bring Yukito Kishiro's manga series to life nearly 20 years back and had written a 186-page screenplay with over 600 pages of notes over the same time period. You can see quintessential Cameron throughout the film - the wide sweeping landscape shots, the military gait of the cyborg characters, the romantic subplot alongside overarching human greed... 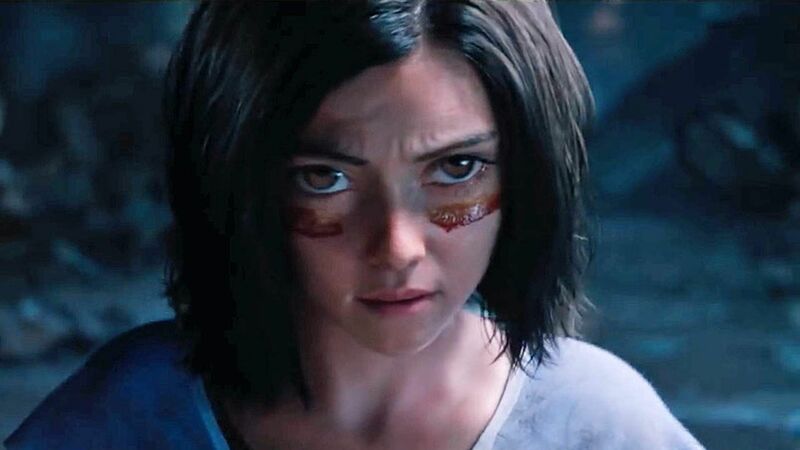 Even though his humans vs nature vs technology theme continues, Battle Angel: Alita has an innocence that has been missing from his writing for some time and a great part of that is shown in Rosa Salazar's Alita. Right from her voice to her demure looks, to her trusting nature and her idealistic views, she makes you invest in the character and one would have to credit Cameron, who has historically had great female characters in his film. We also see the film through the eyes of Robert Rodriguez, the director. As a comics fan, his big screen adaptation of Frank Miller's Sin City remains one of my most favourite films of all time. His unique vision in filming feverish fight sequences right from his El Mariachi days combined with the big-budget vision of Cameron, gives us a lot of memorable battle scenes. The action choreography in this formatted-for-IMAX film is my most favourite since Mad Max: Fury Road and that is thanks to both one-on-one fights as well as free-for-all group fights. Two scenes in the latter aspect stand out - a rabble rouser of a bar sequence when Alita calls out for fellow bounty hunters to rally behind her and the 'motorball' battle sequence when she has to battle her competitors to win the tourney. It would be remiss of me not to talk about watching the film through the eyes of cinematographer Bill Pope. A legend, thanks to his work on The Matrix Trilogy, he also filmed the more human and real-world kinetic sequences of Baby Driver and he combines the best of both worlds in some of the best shots in this film. In a cyberpunk world that navigates dingy alleys, the half-ancient half-ghetto Iron City, the underwater and the outer space, two shots stayed in in my mind long after the film was done - a kiss between the cyborg Alita and the human Hugo (an earnest and dashing Keean Johnson) amidst the backdrop of neon lights, and another that features them against the backdrop of the sky. These two shots show you how important framing and blocking is, when it comes to telling a visual story. The motif of duality mentioned in this review is in keeping with this film, in both content and theme. Battle Angel: Alita aims to be a standalone film but also wants to be an origin story worthy enough to be a sequel. It is because of this confusion that when the film ends where it does, there is a definite disappointment. But thanks to the wonderful low-key performances of Waltz, Mahershala Ali and Jenniffer Connelly and the surprise final reveal, this setup might just deliver an even better sequel, the kind we first expected from Robert Rodriguez when he first made Sin City.